I love finding chic, feminine skirts that fit me well, case in point – this delicate white lace pencil skirt I found on super sale at LOFT during all the 4th of July shopping madness. I’ve paired it with a soft tank blouse on top and neutral accessories. I felt it was the perfect balance of professional + stylish as I wore this to the inaugural Luxury Style Council | Town Center at Boca Raton luncheon. that top is adorable! I love the color! This is very cute! I love the subtle colors and that white skirt is gorgeous! So pretty. 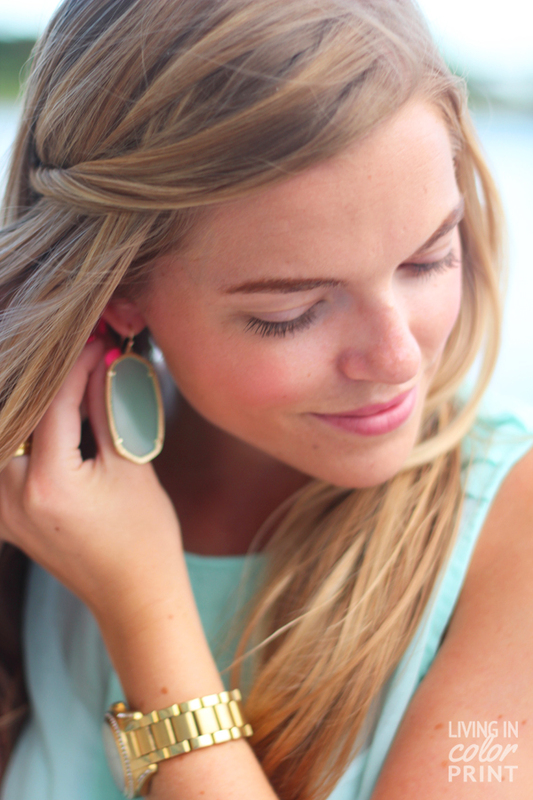 Loving the mint and those earrings are gorgeous. I love the lace on that skirt. Disappointed I didn’t see this at my LOFT! Love this look! The lace and mint are so lovely together and I love that crossbody– J.Crew has some great ones! You’re so pretty…LOVE this color on you! I want those shoes so bad…but my closet is out of control and I’m not allowed to buy another pair until September 1st. I have to set limits, haha. This is so pretty and feminine, you look so gorgeous! And I’m jelly of your tan! love, love, love!! That last pic is STUNNING.